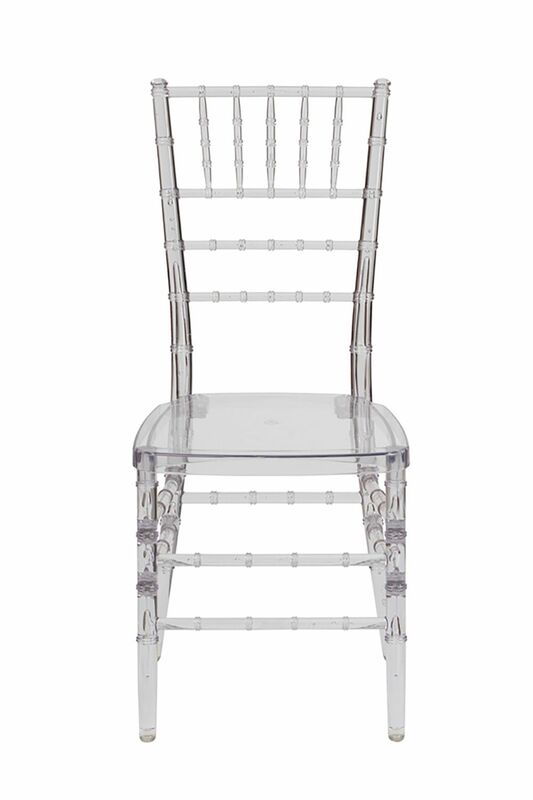 This Clear Resin Chiavari Chair provides a lightweight, elegant design that will compliment any banquet hall, ballroom or wedding event while providing durable seating for guests. The resin frame on these ballroom chairs are constructed of high impact polycarbonate with a static weight capacity of 1,000 lbs. and are UV treated to prevent fading and discoloration. Often used as a wedding chair, these Chiavari Chairs stack 10 high for convenient storage & transport with clear floor glides designed for indoor and outdoor use.